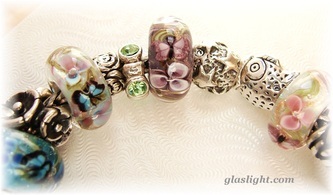 I have a Pandora Bracelet and a Trollbead Bracelet. 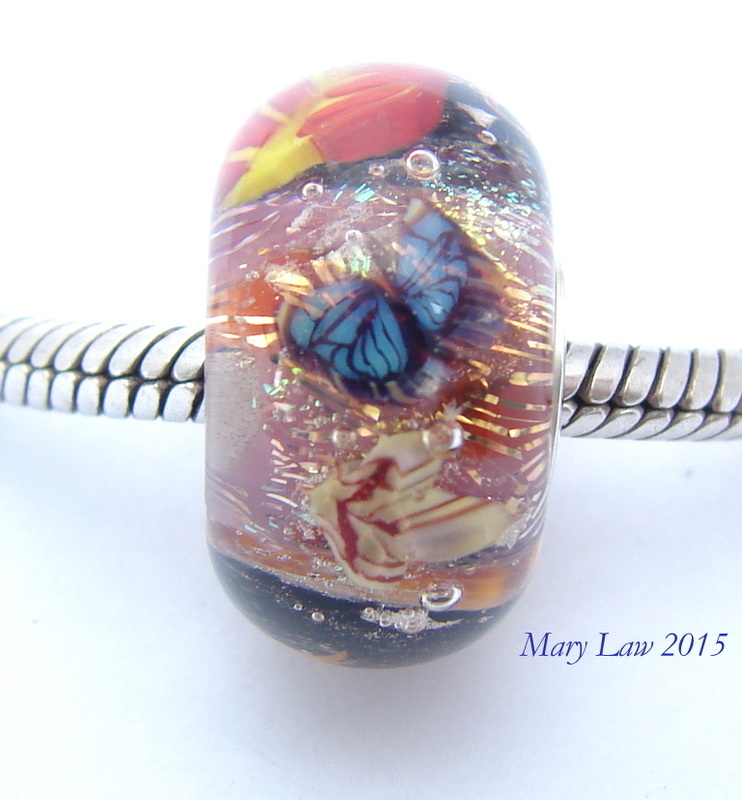 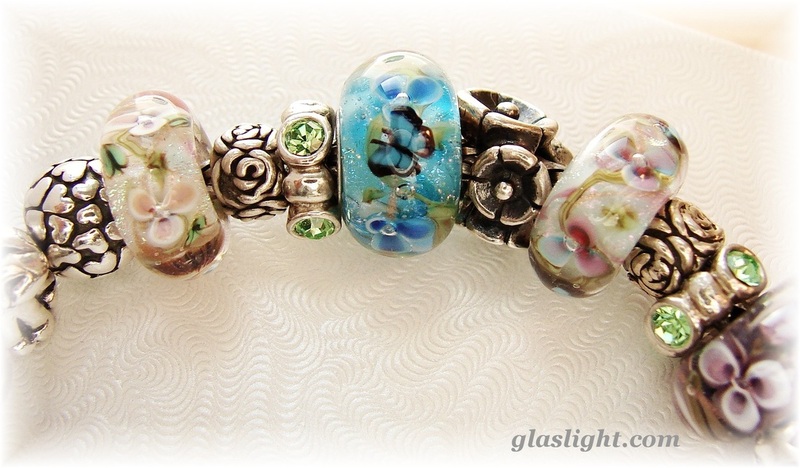 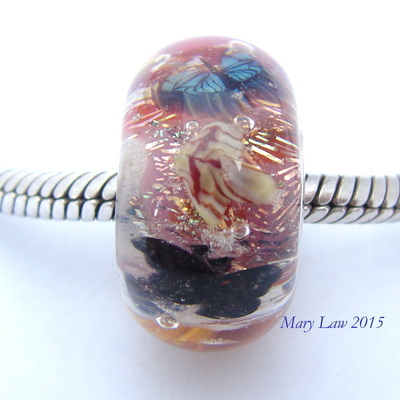 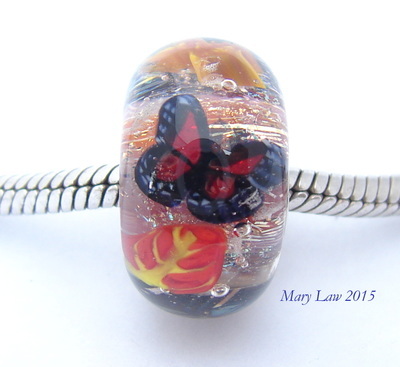 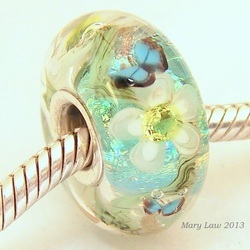 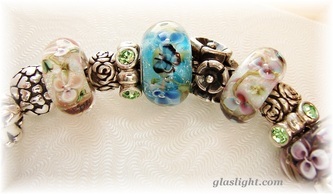 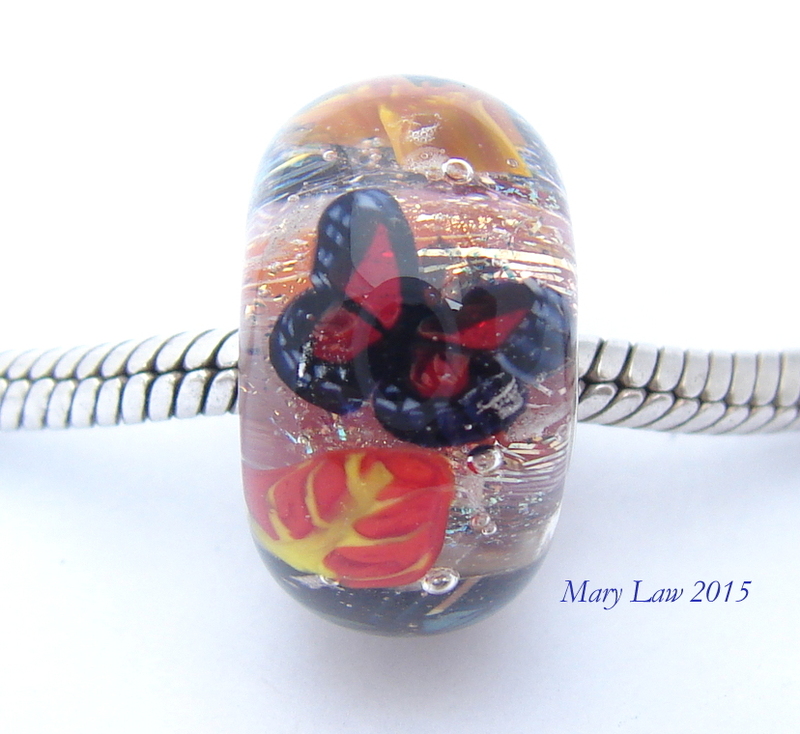 I use the Pandora bracelet mostly to test that my beads will fit on them. 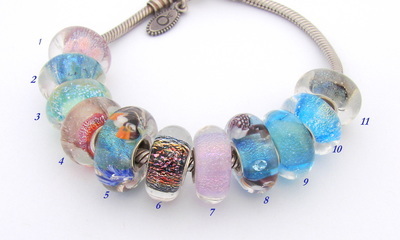 My favorite is the Trollbead system as they have different style locks that can be changed out depending on your mood or your bracelet theme for that particular day which is alot of fun. 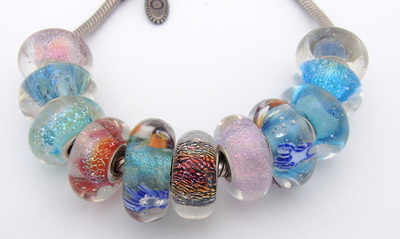 I have to admit I love to make beads and some of you say I am truly an artist when you receive my beads, but as far as arranging jewelry design I just sit there and pretty much procrastinate about how to arrange the bead designs. 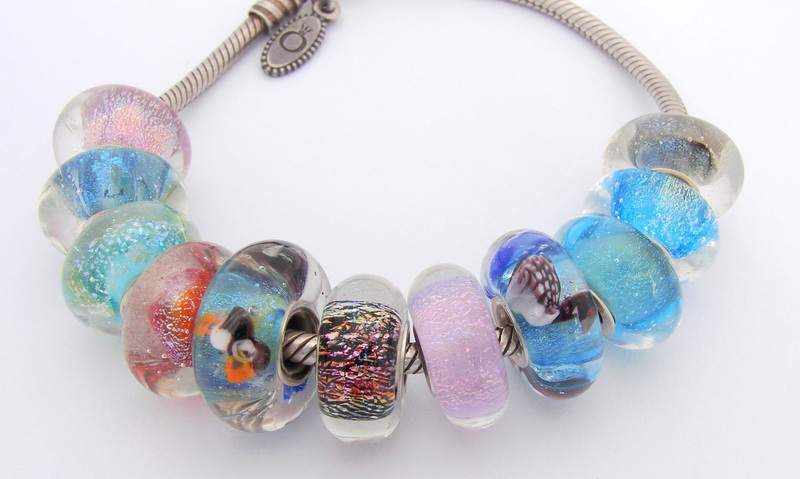 I recently found a new website devoted entirely to how and what different people collect and arrange on their bracelets and necklaces and plan on spending more time investigating and learning from others. 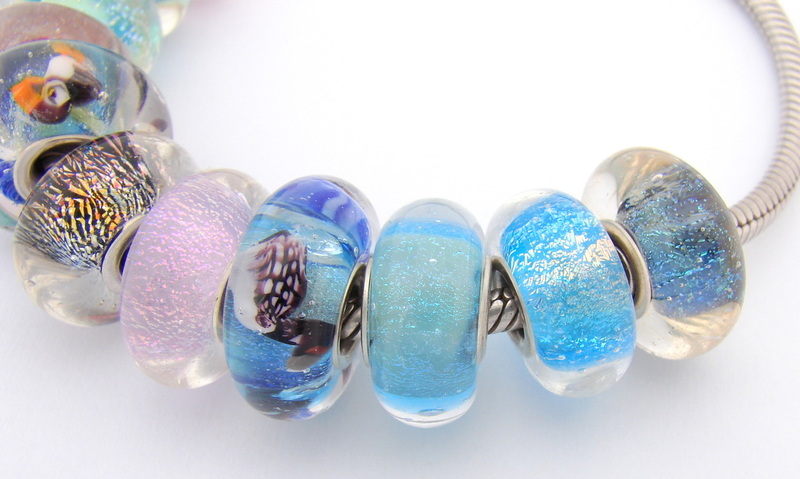 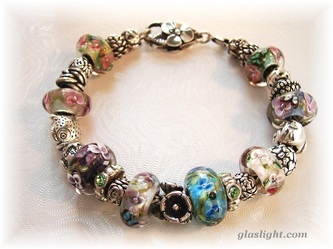 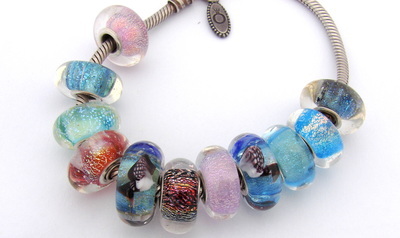 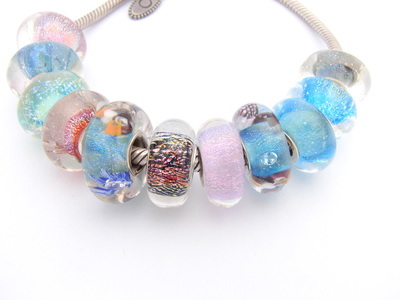 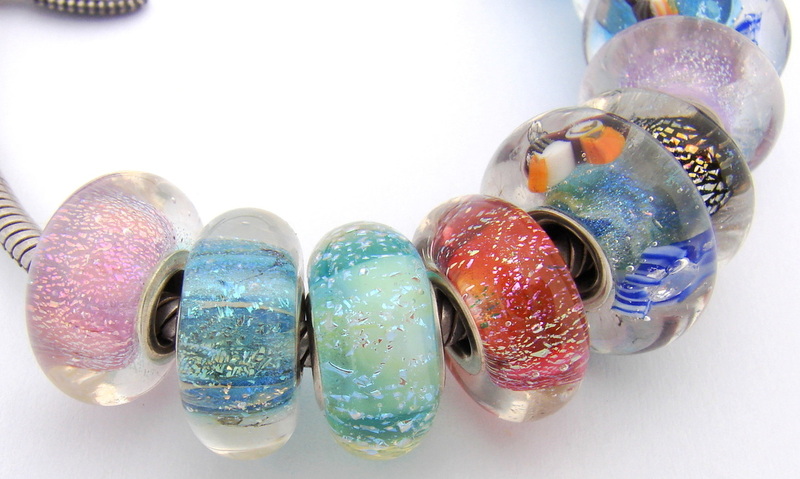 Bedthrilled is a forum where alot of Trollbead addicts chat and share the latest bead designs and show off their bracelet creations http://www.beadthrilled.com/ this is a great site if you are new to the European Charm Bracelet craze and want to learn as much as you can. 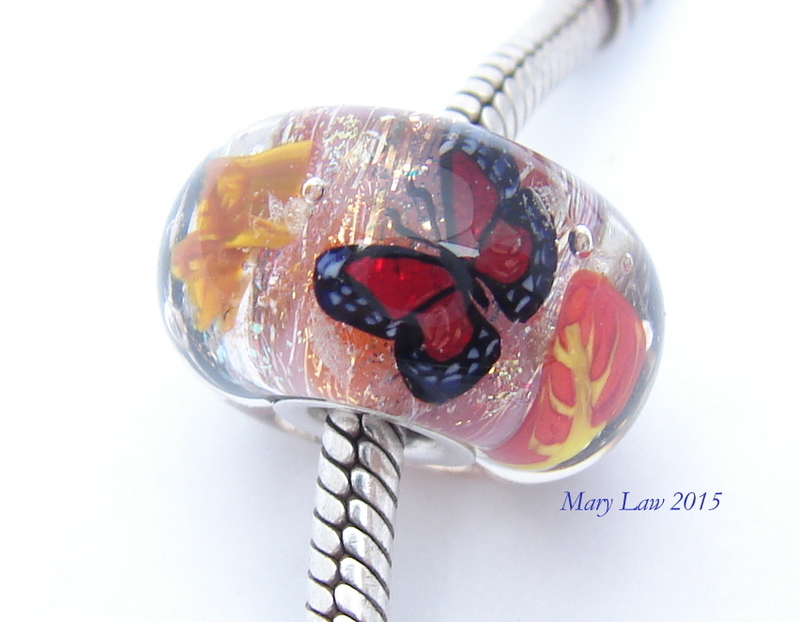 It is an overwhelming task to devote myself to glass work with the expectation of my creative efforts supporting me and my family. 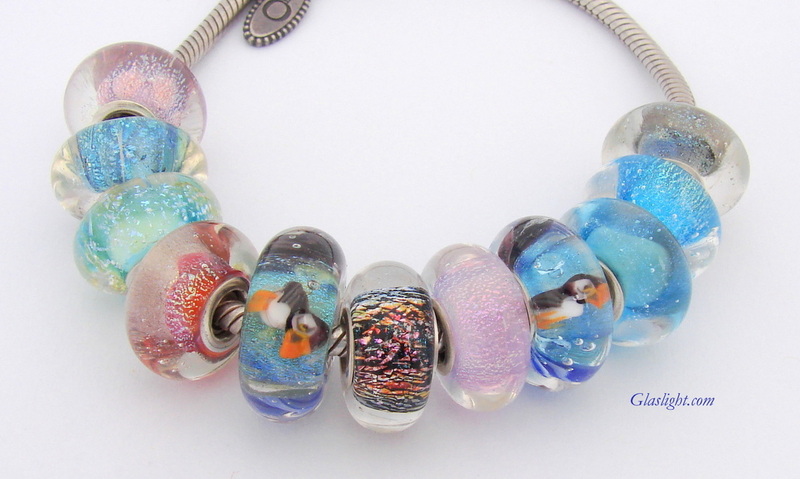 Ask any glass artist who plays with glass as a hobby and then has strived to turn their hobby into a business and they will tell you that producing glass objects for money tends to lesson the joy of creating. Every artist is their worst critic and as a glass artist I see all the flaws in my creations. 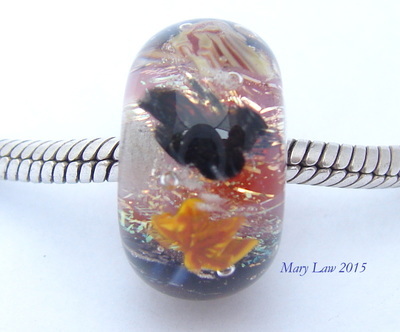 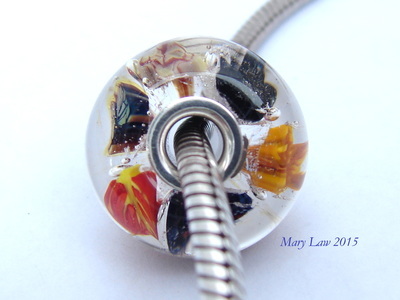 I have a preconceived idea of what my finished bead should look like in my mind and ineveitably when working with molton glass there are variations that take place in every glass layer due to the fluctuations in heat and manipulation of other elements that have their own agenda when they melt into the design. Sometimes when I sit down to torch I don't have an original idea in my head. That's when I turn to my website and then I will proceed to go over all the beads I have made, the customer appreciation photos that have been sent to me and sometimes I will reread feedback. All these past efforts and accomplishments give me the inspiration that I need to keep creating these beautiful artisan beads.